A few weeks ago I was given this orange and white box with what appears to look like a clean sterile tube which looks like a needle which appears to have a see through substance inside of it. This was my first introduction with the brand Juliette Armand and I was absolutely intrigued. The brand has 3 lines and this product falls under the “anti-surgery” line. Postponing the need for forking out addtional cash for botox can be put back into the piggybank and used for some shoe shopping or indulging in the Juliette Armand product line. “Specific gel that immediately and visibly reduces dark circles and swelling in the sensitive eye contour area. This product moisturizers and tones the skin while reducing wrinkles of expression. Moreover it lends a smooth firm and soft eye contour. I am not huge on eye area products as my eyes are inheritanly sensitive to active ingredients and I normally end up rubbing everything into my eye as the day goes on. The needle like container is unique that it disepenses just the right amount of product (in other words, very little) onto your finger in order to apply around the sensitive eye contour area. Using a pinky finger, gently massaging the gel into the skin from an inner corner to outer corner you feel the gel instantly be absorbed by your skin and leaves you feeling a bit more bright eyed. The packaging is ingenious in the fact not only does it give you just enough product which results in wasting, is that the white tip can be used for extra stimulation of massaging the product into the sensitive eye area. I must be honest, I still haven’t found the time to be faffing with that early in the morning before work but it is a nice-to-have and I might actually make a point to use it tonight because I simply haven’t. I don’t know if the product works on dark circles as it states it will, as I really don’t seem to suffer from the very much, but it certainly is a soothing eye gel and does reduce puffiness from not sleeping well or possibly having one too many glasses of wine the night before. There is a bonus of using it, if you apply it after a long day at work staring at a PC screen for too long before going out with friends it really does make you feel more awake. I have enjoyed using this during the winter months as even though my oily skin can be a nuisance around my eyes and nose can sometimes be prone to feeling very dry in these harsh colder months and I have found that this product has helped with around my eye area. The product retails at selected salons for R725 and I truly believe even if used twice daily, the product would last for a long time so in the long run, it is not expensive no matter how big the initial outlay for what seems to be a small eye care product, but it is certainly cheaper than botox – I checked! Visit their Juliet Armand’s website here; Facebook; & follow them on Twitter @Juliette_Armand. Disclaimer: This product was sent to me for review purposes. This has not altered my view of the product in anyway. 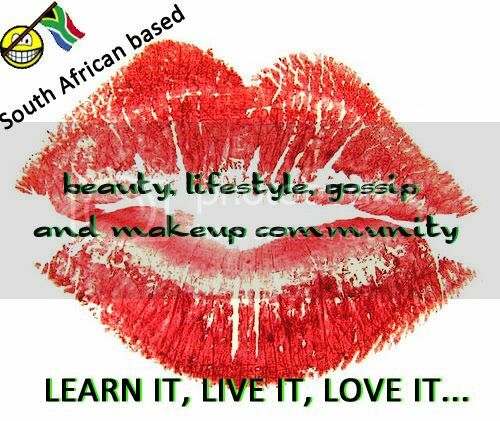 Enter your email address to subscribe to Pout Perfection and receive notifications of new posts by email. ESSENCE IS ROCKING IT THIS SEASON!